On the fifth day of Christmas my green friend gave to me…5 solar lights, 4 faucet aerators, 3 large rain-barrels, 2 new thermostats and a live…Christmas tree! Ahhh…another favorite of mine…solar lights and now, more readily available, LED solar lights! 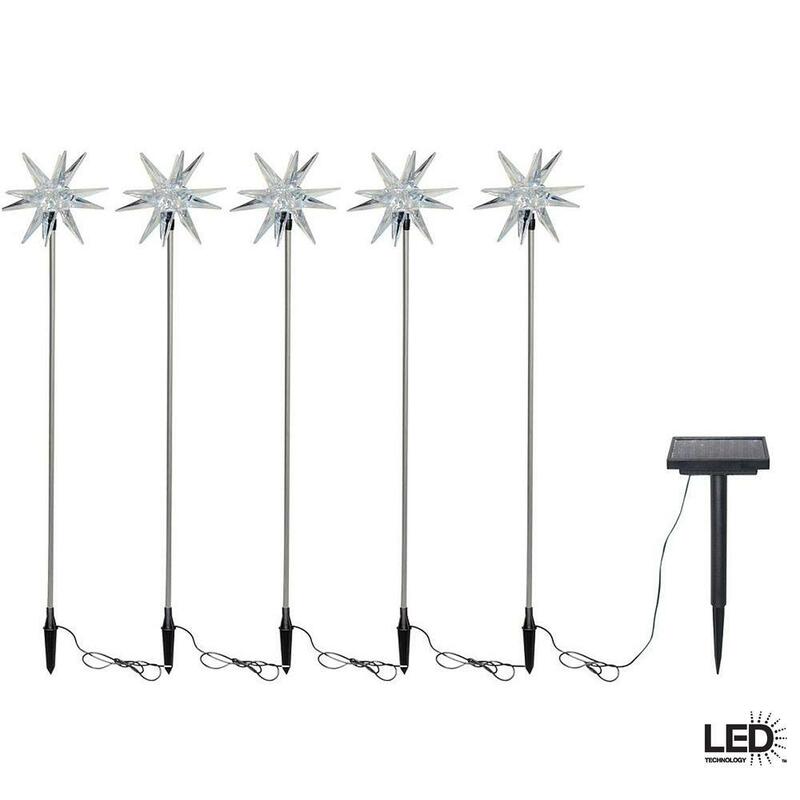 Many people think of solar “walkway” landscape lights when they think of solar lights, but there is so much more to solar lighting outdoors. Post, wall mounted and security lights are all readily available options these days. I love using colorful hanging solar lights, garden features with solar lighting, lights for my shed and accent spot-lights through-out my landscape. I don’t worry about when they turn on or off, it’s automatic and adds ambience as well as security to many areas of my yard. Obviously a couple of the benefits of solar lighting are: the ease of installation and the ability to easily move them to redirect the light, but there are many more. Saving money on your electric bills might come to mind but what about the low maintenance with so few moving parts or the safety aspect of no risk of electrocution? Benefits to the environment like no emissions and solar as a renewable resource, powered by the sun are also important. As the movement towards solar-assisted power and “off-grid” (uses no electricity) homes and remote cabins gains momentum the current administration appears to be focusing on ways to reduce our dependence on foreign oil. Of course the “focus” is often thwarted by corporate giants who benefit from increased use of foreign oil but more and more people are demanding viable energy alternatives through grass roots organizations which collectively are becoming “louder”. If you haven’t already installed a few solar lights make a 2014 resolution to install at least one new solar fixture in an area where you may need more light. One of my goals is to find a solar, wall-mounted LED light for my front porch to replace the temporary battery operated light I installed last year. There are so many more choices available now than a few years ago. Happy lighting and may it be solar!